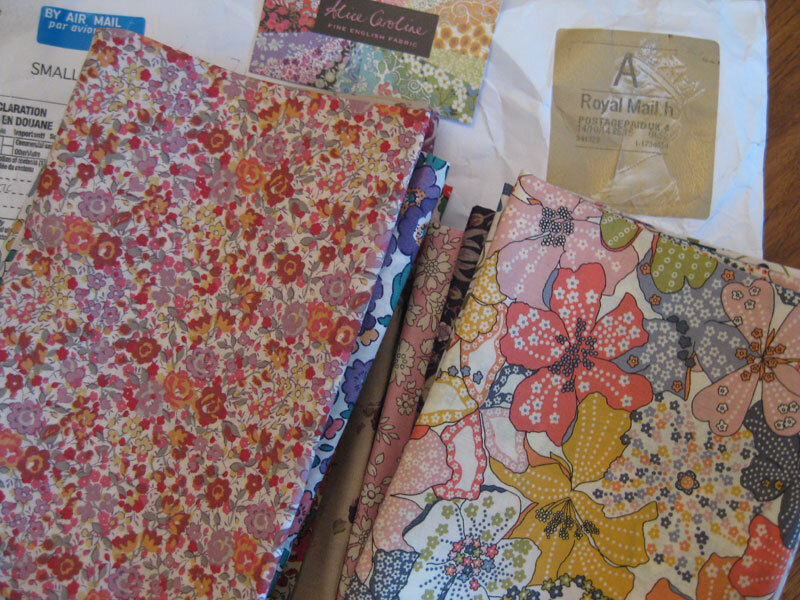 When I went to visit my sons in London last March, I bought some yardages of Liberty fabrics. 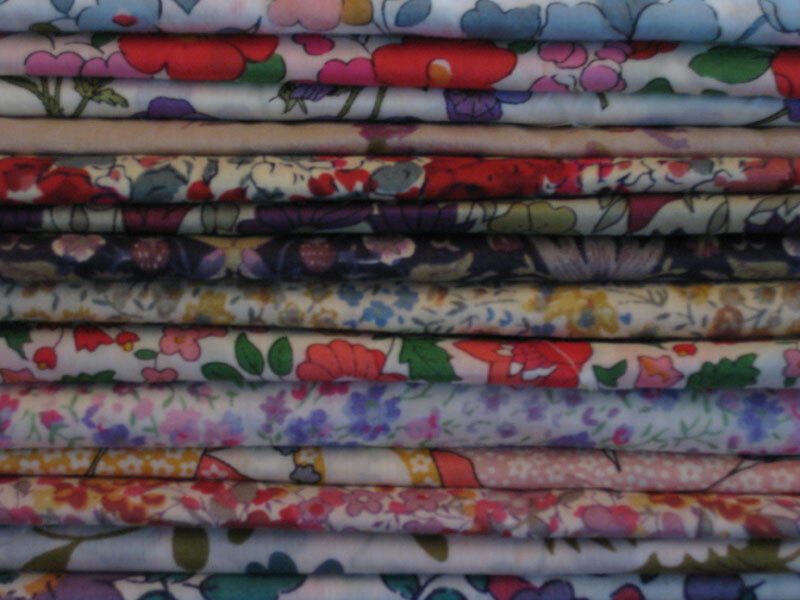 The problem in Liberty's shop is that you cannot buy less than one yard, which limits you as they are quite expessive. 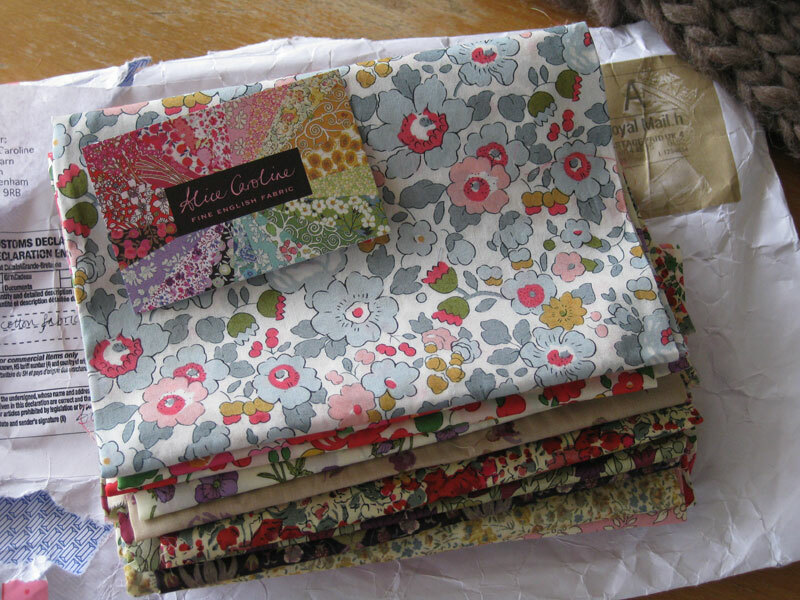 So, recently obsessed with those prints, I searched the web and was happy to find a very good site selling fat quarters of Liberty fabrics. The prices are reasonable and the shipping is very fast. These Liberty prints remind me of my youth, some are still the same as those I was using when sewing cushions for my new studio in Paris! Bonne journee a toutes mes amies quilteuses francaises! That's a very nice stay of Liberty fabrics that you have, I'm happy for you that you've found a place to purchase fat quarters. I didn't know about the one yard minimum. Unusual way to sell fabric. They aren't thinking of quilters. That mail would make me happy too! Good for you! Les regarder, les admirer, les toucher (ils sont si doux) et oser les couper!!! Tout un programme! C'est bien vrai Cecile, c'est pourquoi je les utilise a "petites doses" en les integrant a d'autres moins onereux. Such a precious parcel you got! I love them all. 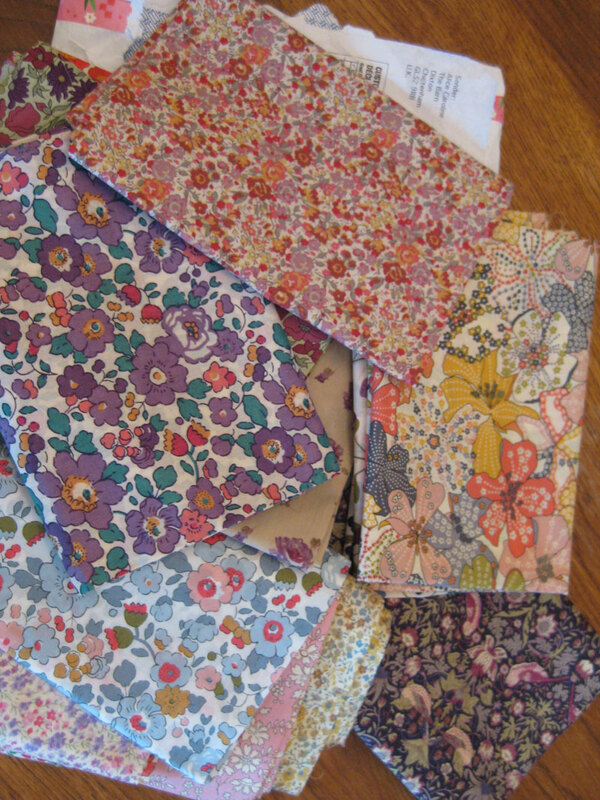 You know that there is a shop in Athens who represents Liberty Fabrics and they can sell even 20 centimeters of each. The name is CANELLO, owned by the Kanellopoulos sisters and it is on Christou Lada str. No. 9 in the center of Athens. Their price is €39 a meter. I don't know if the price you bought yours is different. They also have Harris Tweeds and some other beautiful fabrics. Myrto. thanks a lot for this address, I will run to see their fabrics, I love as well Harris Tweeds. 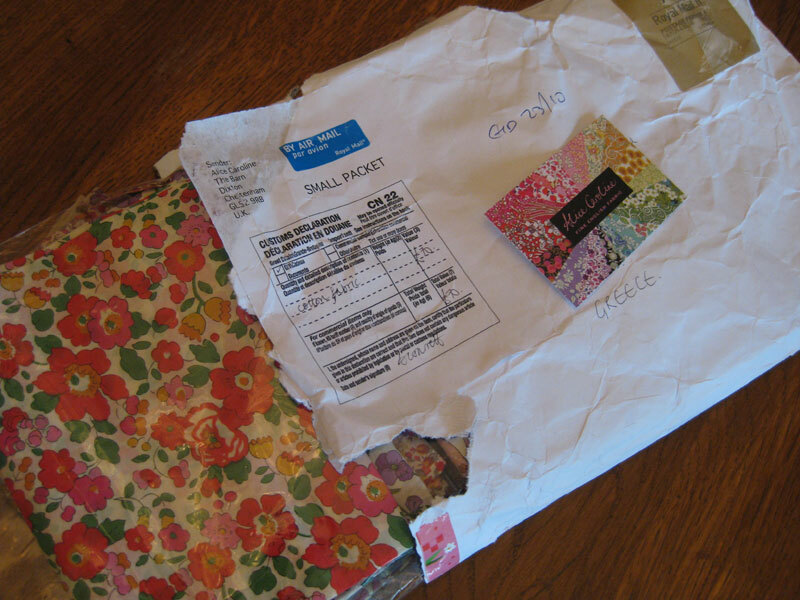 As regards the Liberty fabrics, I paid 6.30 eur per fat quarter and 8 eur for the shipping. Bonjour Christine, Quel bien joli blog, merci de nous faire partager vos idées et vos réalisations et tutos. Je vais m'en inspirer ! Merci Nefertitie! Je suis flattee d'etre source d'inspiration! Your fabrics are beautiful. Please let us know what company you used to buy the fat quarters. Thank you. The name is written on the card on the fabrics.